When I joined TRL in the early 2000’s, I was seeking safety in numbers for nighttime running. Instead, I found a running family. TRL taught me how to train outside of the structure of collegiate running, to prepare for longer races, to have more fun. They showed me that my best running was yet to come. Since then, I left Portland, then returned as a family of three, soon to be four. Training and racing with the TRL masters women in the Stumptown Cross Country series in 2016 and 2017 re-ignited my running spirit. TRL’s Tuesday and Friday track workouts keep me sharp and motivated, weekend long runs keep me happy, and social and community events keep me grounded. 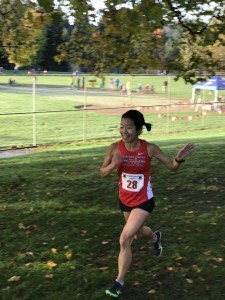 I enjoy racing any distance from the 5k to the half marathon and love being a part of Portland’s unique running community. It feels impossible to give back to TRL as much as I have gained, but I am honored to begin trying as TRL Vice President. I am excited seek to help TRL offer nighttime running companions, help young and new runners grow, and inspire new goals.